It’s clear that cryptocurrency is a big deal these days, and more people than ever are choosing to invest in some sort of cryptocurrency. In fact, the power of cryptocurrencies such as Bitcoin and Ethereum is such that many have tipped it to take over regular currency in a decade or so. It’s clear that cryptocurrency is playing more of a role in the economy of the world, so it’s time to find out more about it. Sure, it is still in its infancy, but it’s clear that cryptocurrency has had a major impact on commerce across the world. We know that people gravitate more toward online shopping these days, and as such, something like cryptocurrency represents an attractive alternative. So, it’s important to find out as much as we can about the potential future of the global economy. 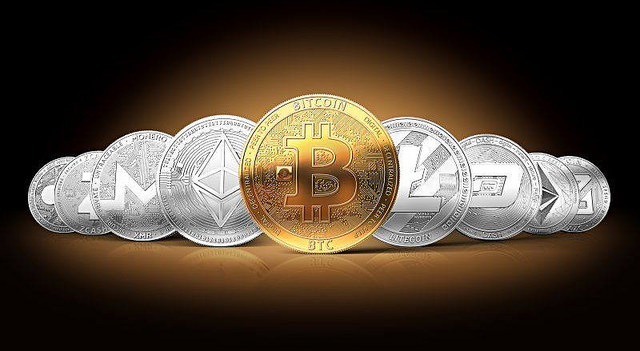 Simply put, cryptocurrency is the name given to a form of digital currency that can be exchanged and used for the purchase of goods, products, and even gambling. Cryptocurrencies are stored in digital wallets and may be accessed by virtual keys that the owner has access to. There are many different cryptocurrencies around at the moment, but the main ones include Bitcoin, Litecoin, Ethereum, and Ripple. People can acquire cryptocurrency through payment, trading, or via mining. Mining cryptocurrency is perhaps the most common way of gaining new cryptocurrency. This is the process of virtually mining data and converting it on the blockchain to turn it into cryptocurrency. This might sound straightforward; in reality, it is anything but. Basically, you’re going to need a fair amount of decent hardware and software in order to be able to mine effectively and get the cryptocurrency you want. If this is something that interests you please make sure you research as much as you can about it. One of the most important components in the world of cryptocurrency is the blockchain. This is a digital public ledger that records the movement of all cryptocurrency transactions. This keeps everything verifiable and ensures that the risk of criminal activity pertaining to cryptocurrency is greatly reduced. The blockchain is hugely important and is the basis around which the entire world of cryptocurrency is based. This is like one massive, digital, cryptocurrency banking system that allows us to keep track of everything to do with cryptocurrency. If you have an interest in the digital world you will likely have heard of cryptocurrency before. You’ll certainly be familiar with Bitcoin, the most popular and well-known form of cryptocurrency. And you may well know that this is an industry growing in influence and popularity, and it’s proving to potentially be the future of the world’s economy. Whether or not cryptocurrency catches on and becomes a global powerhouse remains to be seen. For the moment, it’s pretty clear that this is an industry growing and expanding.